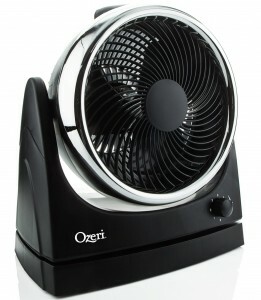 I recently purchased an Ozeri Brezza Oscillating 10″ High Velocity Desk Fan for my grow room. I wanted to find a quiet grow fan to provide air movement. The Ozeri Brezza Fan cost me $34 with free shipping from Amazon. I have to say this Ozeri Brezza Fan does a really great job too. My humidity has dropped from 70 to 60% and temperatures in my 2 x 3 foot grow tent hover around 80 degrees with only passive exhaust. The Ozeri Brezza is quiet. I can not hear it unless I open my closet door and even then all I hear is air moving. 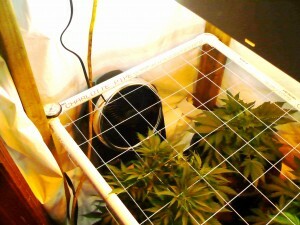 This fan is perfect for a stealth grow. I live in an apartment in an old wood frame house and sound travels easily and my grow room shares a wall with my bedroom. There is absolutely no detectable sound at all, so I know my neighbors can’t hear it either. 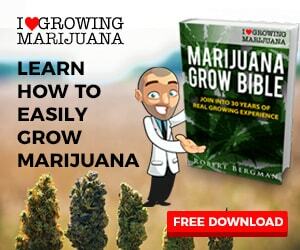 Even though my medical grow is legal I see no reason for anyone else to know what I am doing. The Ozeri Brezza Oscillating 10″ High Velocity Desk Fan is well made. It was actually larger than I expected for some reason but it easily fits in my tight grow space. It can be wall mounted too. The fan oscillates from the center of the units base. There are three speeds for oscillation and three without. I am using the lowest setting and getting all the air movement I could ever want. I have not needed to have the fan oscillate to get the coverage I desire. The head rotates 90 degrees from slightly downward to strait up at the ceiling and locks firmly in place with a ratchet mechanism, so it will stay as you set it. I am very happy with my purchase and if you are looking for a well made, quiet grow fan then I would highly recommend the Ozeri Brezza Oscillating 10″ High Velocity Desk Fan.